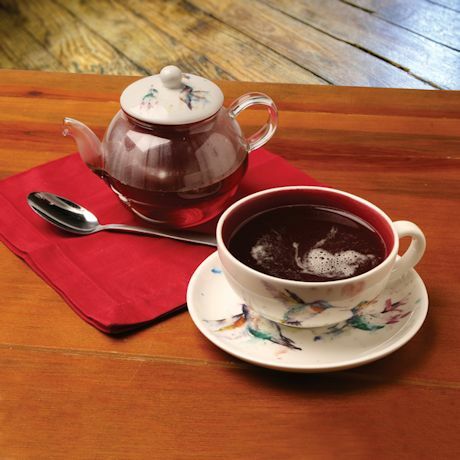 This 4-piece set features the delicate hummingbird art of noted artist Dean Crouser. Set includes a 14 oz. 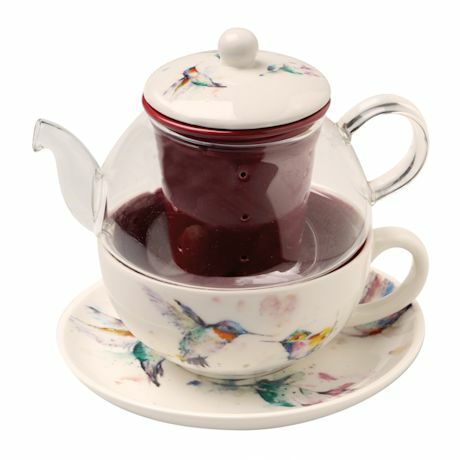 tea pot with a tea infuser, 9 oz cup, and a saucer, that all fit together one inside the other. Made of glass and stoneware pottery it sits 6" high. Dishwasher-safe.